We believe that Islam is much more than just a religion. We believe that it is a way of life. The following info shows some light to some common questions that are posed by individuals who want to learn more about Islam. 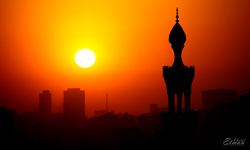 The Arabic word ‘Islam’ simply means ’submission’, and derives from a word meaning ‘peace’. In a religious context it means complete submission to the will of God. Islam teaches that all religions originally had the same essential message—which was to submit whole-heartedly to the will of God and to worship Him and Him alone. For this reason, Islam is not a new religion but is the same divinely revealed Ultimate Truth that God revealed to all prophets, including Noah, Abraham, Moses and Jesus. Islam is both a religion and a complete way of life. 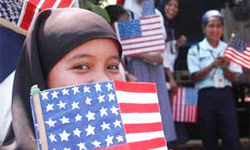 Over one billion people from a vast range of races, nationalities and cultures across the globe - from the southern Philippines to Nigeria - are united by their common Islamic faith. About 18% live in the Arab world; the world’s largest Muslim community is in Indonesia; substantial parts of Asia and most of Africa are Muslim, while significant minorities are to be found in the Soviet Union, China, North and South America, and Europe. Muslims believe in One, Unique, and Incomparable God. They believe in the Day of Judgement and individual accountability for actions. 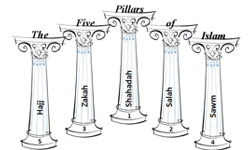 Muslims believe in a chain of prophets beginning with Adam and including Noah, Abraham, Ishmael, Isaac, Jacob, Joseph, Job, Moses, David, Solomon, and Jesus. God’s eternal message was reaffirmed and finalized by the Prophet Muhammad (pbuh) (peace be on them all). One becomes a Muslim by saying, “There is no deity but God, and Muhammad (pbuh) is the messenger of God.” By this declaration, the person announces faith in all of God’s messengers. 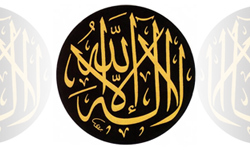 Very often, one will here the Arabic word “Allah” being used in regards to Islam. The word “Allah” is simply the Arabic word for Almighty God, and is the same word used by Arabic speaking Christians and Jews. 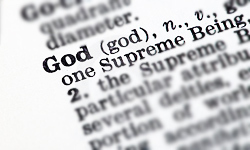 If one were to pick up an Arabic translation of the Bible, one would see the word “Allah” being use where the word “God” is used in English. Actually, the Arabic word for Almighty God, “Allah”, is quite similiar to the word for God in other Semitic languages—for example, the Hebrew word for God is “Elah”. The Quran is a record of the exact words revealed by God through the Angel Gabriel to the Prophet Muhammad (pbuh). It was memorized by Muhammad (pbuh) and then dictated to his Companions, and written down by scribes, who cross-checked it during his lifetime. 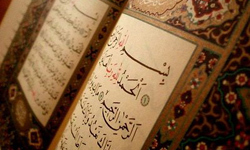 Not one word of its 114 chapters (Suras) has been changed over the centuries, so that the Quran is in every detail the unique and miraculous text which was revealed to Muhammad (pbuh) fourteen centuries ago. It deals with all the subjects which concern us as human beings: wisdom, doctrine, worship, and law, but its basic theme is the relationship between God and His creatures. At the same time it provides guidelines for a just society, proper human conduct and an equitable economic system. 3) Zakat - One of the most important principles of Islam is that all things belong to God and that wealth is held in trust by human beings. Zakat, or charitable giving, “purifies” wealth by setting aside a portion for those in need. This payment is usually two and a half percent of one’s capital. 5) Pilgrimage - A pilgrimage to Mecca, or Hajj, is an obligation for those who are physically or financially able. Pilgrims wear special clothes: simple garments which strip away distinctions of class and culture, so that all stand equal before God. Muhammad (pbuh), was born in Makkah in the year 570, at a time when Christianity was not yet fully established in Europe. Since his father died before his birth, and his mother shortly afterwards, he was raised by his uncle from the respected tribe of Quraysh. As he grew up, he became known for his truthfulness, generosity and sincerity, so that he was sought after for his ability to arbitrate in disputes. The historians describe him as calm and meditative. 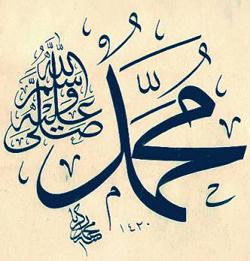 Muhammad (pbuh) was of a deeply religious nature, and had long detested the decadence of his society. It became his habit to meditate from time to time in the Cave of Hira near the summit of Jabal al-Nur, the ‘Mountain of Light’ near Makkah. At the age of 40, while engaged in a meditative retreat, Muhammad (pbuh) received his first revelation from God through the Angel Gabriel. This revelation, which continued for twenty-three years, is known as the Quran. The Mountain of Light where Gabriel came to Prophet Muhammad (pbuh). Like Christianity, Islam permits fighting in self-defense, in defense of religion, or on the part of those who have been expelled forcibly from their homes. It lays down strict rules of combat which include prohibitions against harming civilians and against destroying crops, trees and livestock. 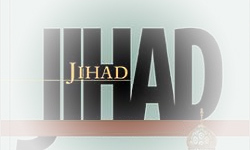 “Jihad” does not mean “holy war.” Literally, jihad means to strive, struggle and exert effort. It is a central and broad Islamic concept that includes struggle against evil inclinations within oneself, struggle to improve the quality of life in society, struggle in the battlefield for self-defense (e.g., - having a standing army for national defense), or fighting against tyranny or oppression.